A clean house. Everyone would love to have one; we just don’t want to be the one who’s doing the chores. I’m just finishing up a new story, and during the final days and weeks of intense focus on getting to The End, I rarely do anything besides write, eat, sleep, repeat. My house grows dusty and grimy. Once the book is finished, there will be cleaning in my immediate future! Here’s a helpful tip that will make any major cleaning job easier. 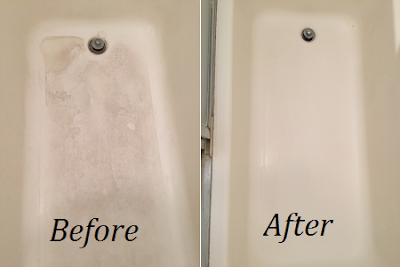 I saw a post by a friend recently who gave a recipe for an effective cleaning solution that powered through the gray grime in the bottom of her tub. She used a 50/50 solution of blue Dawn dish detergent and white vinegar. She said she saw somewhere that the dish detergent must be the blue Dawn (although, there was no reason given as to why). She mixed the solution and poured the concoction on the bottom of the tub, let it sit overnight, and then used a Mr. Clean Eraser to scour the tub. Here are before and after pictures. The tub looks sparkly clean! Warning! Mr. Clean Erasers should not be used on resurfaced porcelain. I had one of my bathtubs resurfaced and the installer said Mr. Clean Erasers are a no-no. If you've had your tub resurfaced, call the installer and ask if this cleaner is safe to use. 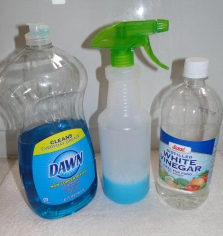 Have you tried this blue Dawn and vinegar solution? If so, how did it work for you? Do you have any tips, tricks, or miracle cures for keeping your house clean? Let’s share and help each other make housecleaning a little easier. About the author: Donna Fasano is a USA Today Bestseller. 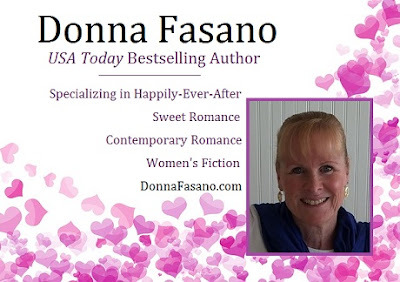 She writes sweet romance novels as well as contemporary romance and women's fiction. You can sign up for her newsletter here. Great tip, Donna! I've heard of that combination, but I haven't tried it. I should give it a try here. We rent and our bathtub is old and not exactly pretty lol I'm also a big fan of Mr. Clean Erasers. Thanks, Donna! I'll have to try this. I already use blue Dawn because they donate that cleanser to clean wildlife that have been caught in oil spills. It must be extra-strength and that's why the blue Dawn is specified? I don't know. But it's good stuff! I'm always in the mood to clean...um...no. However, this looks like a great cleaning solution. Thanks for sharing! Thanks for the tips. I need to do some deep cleaning because I've been so focused on my book too. Thanks for the tip. I'll have to try that on my tub. I tried it on my shower stall and it worked great. The before and after pictures are amazing. I definitely have to try this cleaning mixture. It's a great cleaning solution. Thanks for stopping by! I am multi-chemical sensitivity and have used vinegar for everything in house for years, along with baking soda. The dawn probably works well because it has grease cutters in it. You can make your own cleaning products much cheaper than buying them and there are thousands if not millions of recipes for DIY cleaners. What ingredients are in this product? I make my home cleaning products my self at home and they work great.